EWA protects the public by providing highly reliable wastewater pumping, water and solids recycling, air emissions, and odor-control infrastructure. 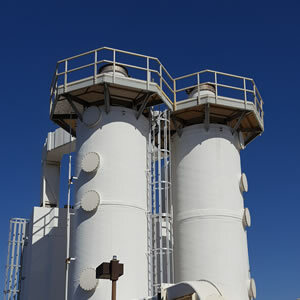 Keeping wastewater in the pipes, managing greenhouse gas emissions, and minimizing treatment plant odors enhance the quality of life in North County. EWA consistently meets or exceeds the requirements of its air emission permits. 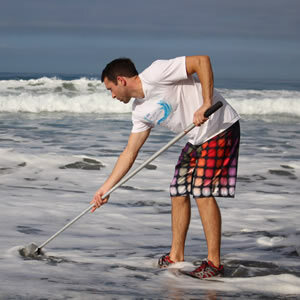 EWA’s laboratory performs testing to ensure that required secondary treatment standards are met and the discharge of treated wastewater from the Encina Water Pollution Control Facility (EWPCF) through the ocean outfall is in compliance with EWA’s ocean discharge permit (National Pollutant Discharge Elimination System or NPDES permit). 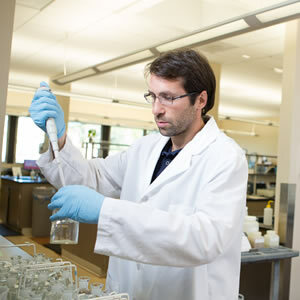 Testing results demonstrate that effluent from the EWPCF consistently exceeds regulatory standards. In fact, EWA continues to receive a Platinum Award from the National Association of Clean Water Agencies (NACWA) for having a perfect compliance record with its NPDES permit for five or more consecutive years. 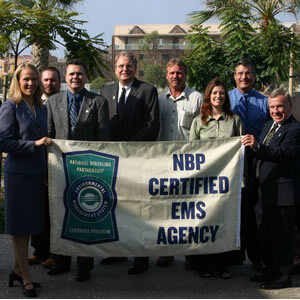 On August 10, 2005, EWA became the ninth agency in the nation to receive certification of its Biosolids Environmental Management System (EMS) from the National Biosolids Partnership (NBP).